Rattling, whistling, or loud pipes can be an annoyance in any household. Many wonder why this phenomenon occurs and if this serves as a serious plumbing issue. This answer to this question is quite simple – water hammer. Water hammer occurs when a member of a household has turned on a faucet, bathtub, etc. and has suddenly shut it off. 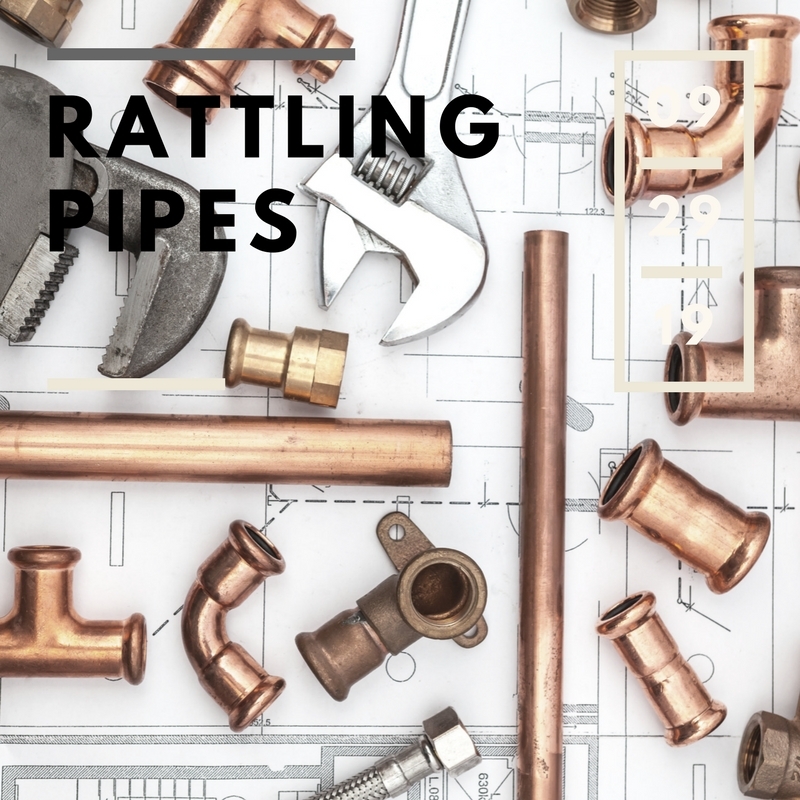 All of the water that was running from the pipe suddenly crashes into the valve that blocks the water from continuing through the pipe, thus, creating a crashing or rattling sound in your home. Homes built before 1960’s – Many of these homes were built with air chambers installed in their pipe work to act as absorbers. These air chambers were meant to reduce water hammer from occurring, however, over a long period of time these chambers can become filled with water ultimately making them ineffective. Homes built between the 1970s and 1990s – Homes built during this time frame typically have little to no protection from water hammer. Luckily, water arrestors can be installed and can stop water hammer from happening in your home. Leave it to the experts. Please contact Rodger’s Plumbing if you would like water arrestors installed in your home. Homes built after 1990s – Fortunately the majority of modern homes were installed with water hammer arrestors. However, if you are still experiencing water hammer please contact Rodger’s Plumbing today!